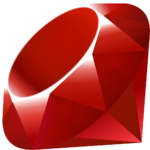 Ruby is a simple and powerful object-oriented programming language, created by Yukihiro Matsumoto. Like Perl, Ruby is good at text processing. Like Smalltalk, everything in Ruby is an object, and Ruby has blocks, iterators, meta-classes and other good stuff. You can use Ruby to write servers, experiment with prototypes, and for everyday programming tasks. As a fully-integrated object-oriented language, Ruby scales well. The best way we learn anything is by practice and exercise questions. We have started this section for those (beginner to intermediate) who are familiar with Ruby. Hope, these exercises help you to improve your Ruby coding skills. Currently, following sections are available, we are working hard to add more exercises .... Happy Coding!